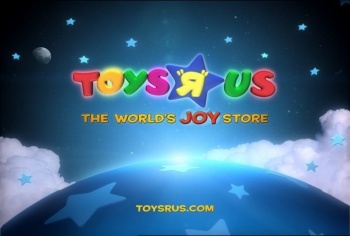 Toys R Us CEO: Online Shopping is "Very Ungreen"
Toys R Us boss Jerry Storch says that online shopping is actually quite bad for the environment. It's hard to overstate the benefits of online shopping: No parking lot Thunderdome, no horrid Christmas music, no million-mom mosh pit for the latest forgettable toy tie-in to crawl out of Mattel's marketing department, and with so many online retailers offering free shipping over the holidays, it's actually cheaper to stay in your chair and turn UPS into your own personal earth-toned Santa Claus. But there's a downside, according to Toys R Us Chief Executive Jerry Storch, and that downside is that every time you click your mouse, a baby seal dies. "It's very ungreen," Storch told the Financial Times. "[People are] just so enraptured with how cool it is that they can order anything and get it brought to their home that they aren't thinking about the carbon footprint of that." Storch's position contrasts rather dramatically with that of Amazon, which states unequivocally that "online shopping is inherently more environmentally friendly than traditional retailing." There are enough variables in the home delivery model vs. conventional shopping that there's "not a simple answer," according to Environmental Defense Fund Senior Manager Jason Mathers, who added, "There are certain advantages the e-commerce system could have, but doesn't necessarily have." Storch acknowledged that Toys R Us is doing significant amounts of online business itself, selling $1 billion of production over the internet last year, and that customers want the convenience of shopping from home. But he also predicted that consumer attitudes will change as people become aware of the real costs of online shopping. "People are going to start realizing, wait, I'm already ... taking my children to school," he said. "The store is right there. I can just pick it up."